Roger Stone has entered a not guilty plea in federal court in Washington, DC. The former advisor to US President Donald Trump is facing seven criminal counts as part of US Special Counsel Robert Mueller's Russia investigation. Prosecutors charged the political operative with making false statements to Congress, obstruction of justice and witness tampering. The indictment said Stone told members of Trump's 2016 presidential campaign that he had advance knowledge of plans by WikiLeaks to release damaging emails about Hillary Clinton. The charges faced by Stone are the latest development in the ongoing the Mueller probe which is examining alleged collusion between Trump and Russia during his election campaign. In the aftermath of Stone’s arrest, his lawyer Grant Smith said his client is “vindicated,” by the fact that the indictment against him does not mention “Russian collusion,” and instead charges him with relatively minor process crimes. 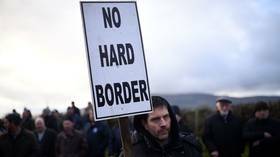 Brexiteers tempt Theresa May with removal of Irish backstop vote – will she bite?